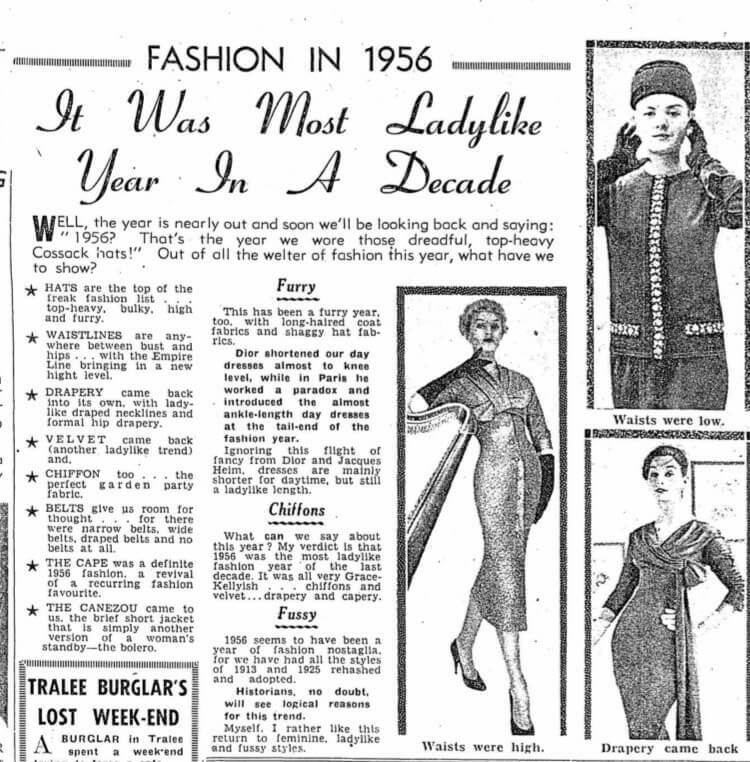 In 1956, The Evening Herald, (now called The Herald), published a piece listing the fashion pieces, trends and materials that became popular throughout the year. The piece published on the 8th December 1956, was published as the year came to a close. The title reads “It was most ladylike year in a decade” before briefly listing and describing the fashion trends of the year. Complete the crossword below to find out which fashion trends were popular in Ireland over 60 years ago. The author of this piece describes the year of fashion as very “Grace Kellyish”. The year 1956 saw the styles of 1913 and 1925 brought back and reimagined. To view the answers/the article by The Herald, scroll below.